St Edith Stein – Teresa Benedicta of the Cross – appears very much a woman of our times. She was a professional, intellectual and an atheist. Yet she came to recognise the truth of the Catholic faith and her conversion meant for her a total transformation. She gave up everything for Christ, including her life, and today she is honoured as a martyr and a Patron Saint of Europe. She was born into an observant Jewish family in then German town Breslau (now Wroclaw in Poland) on 12 October 1891, the youngest of seven children. She lost her father when she was just three years old. As a child, adults noted that she was intellectually gifted but she also had an aversion to religion that troubled her devout mother who commented to a friend that Edith was “clever but not pious, with no religious convictions and showing little interest in Judaism”. By her teenage years, Edith was openly declaring herself to have no religion at all. 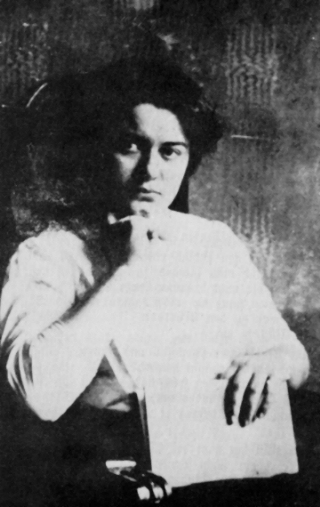 Her passion was instead for philosophy and at Breslau University she studied under Professor Karl Stern (a Jew who would later become a Catholic) before she received a doctorate of philosophy from the University of Göttingen with a dissertation under Edmund Husserl, the founder of the school of phenomenology and a man who was recognised in Germany as “the philosopher of our day”. It was at Göttingen that she also encountered Max Scheler, a Catholic philosopher whom Edith credited with opening up “for me a whole region of phenomena which I could no longer ignore”. Also significant was her acquaintance with Adolph Reinach, one of her tutors and a man who had converted to the Catholic faith with his wife. Reinach volunteered to join the army in 1914 and he died in the trenches. When Edith visited his widow shortly afterwards she found not a broken, distraught woman but a woman quietly consoled by her faith. Years later, Edith wrote that it was at the moment when she “first encountered the Cross and the divine strength which it inspires in those who bear it. For the first time I saw before my eyes the Church, born of Christ’s redemptive suffering, victorious over the sting of death. It was the moment which my unbelief was shattered, Judaism paled and Christ streamed out upon me – Christ in the mystery of the Cross”. In 1916, she shocked her fashionable atheist contemporaries when, having accepted a position of assistant to Dr Husserl, by then Professor of Philosophy at the University of Freiburg, she published a paper which departed from so-called “Rationalist” thinking to reveal her own “revival of faith in God”. Her radical conversion to the Catholic faith came when she visited a friend’s house and found there an autobiography of St Teresa of Avila, the Carmelite mystic. Suddenly, she discovered the “treasure hidden in a field” (Mt 13:44) and wanted to leave everything and enter a Discalced Carmelite monastery without delay. But she had never set foot in a Catholic church, nor had she been baptised. Edith sought to remedy this by buying and studying a missal and a catechism and after she had read them she presented herself to the parish priest at Bergzabern, after attending Mass for the first time, and she asked him to baptise her. The priest was astonished and asked Edith who had been giving her instruction. Her reply was: “Please, your reverence, test my knowledge.” He was tremendously impressed not only by her understanding of Catholic doctrine but also of her “feeling” for Christ. He arranged to receive Edith into the Church on 1 January 1922. She took Teresa as her baptismal name, and she was confirmed on the following Candlemass Day. Edith gave up her illustrious position at university in exchange for a teaching post at the Dominican Convent School in Speyer. This gave her the opportunity to pray and study and she became an authority on the teachings of St Thomas Aquinas, bringing her into huge demand as a speaker. She translated Blessed John Henry Newman’s The Idea of a University from English to German, joining a wave of German Catholic theologians and philosophers who received the works of the Victorian cardinal with enormous enthusiam between the wars: these included Theodor Haecker, Erich Przywara, Otto Karrer, Romano Guardini, Matthias Laros and Dietrich Von Hildebrand. Edith continued to harbour the conviction that she had a vocation to religious life even though her confessors and spiritual directors dissuaded her repeatedly throughout the 1920s and early 1930s, saying that the time was not ripe for her to enter a convent. During this time she also watched with great anxiety as the Cross of Jesus Christ was “laid on the Jewish people”, as she saw it. Prophetically, she wrote that she herself wished to bear this same Cross as an oblation for the salvation of the Jewish people. In 1932 she was appointed lecturer at the Institute for Pedagogy at Münster, but anti-semitic legislation passed by the Nazis forced her to resign the post a year later. She wrote to Pope Pius XI to ask him to denounce the persecution of the Jews. Pius XI did indeed condemn racist Nazi ideology and the persecution of the Jews in Mit Brennender Sorge (With Burning Anxiety), an encyclical smuggled into Nazi Germany in 1937 and read from the pulpits of Catholic churches. By then Edith was at last a Carmelite, having entered the convent in Cologne in 1933. As the Nazi persecution intensified, her order was keen to protect her and she was transferred to the convent at Echt in Holland where she continued to study and write, this time on the writings of St John of the Cross. But in 1941 the Gestapo arrived and began to round up Dutch Jews for deportation. The bishops of the Netherlands spoke out robustly against the persecution, with a pastoral letter from the Archbishop of Utrecht read aloud in churches in July 1942. In a retaliatory response, Arthur Seyss-Inquart, the Reichskommissar of the Netherlands, instantly ordered the arrest of all Jewish converts, who had previously been spared. Edith and her sister Rosa, a convert and a Third Order Carmelite, were captured. They were among almost a thousand Jews deported to Auschwitz, the Nazi concentration camp in Poland, as a reaction to the intervention of the Dutch bishops. After that she was never of again. The most reliable information is that she and Rosa were gassed on either 9 or 10 August 1942 and their bodies burned. Edith Stein was beatified on 1 May 1987 by Pope St John Paul II during his second visit to Germany. She was canonised by the same pope in Rome on 11 October 1998. In his homily at the Mass of Canonisation, St John Paul condemned the horrors of the Holocaust. “For the love of God and man, once again I raise an anguished cry: May such criminal deeds never be repeated against any ethnic group, against any race, in any corner of this world,” he said. “It is a cry to everyone: to all people of goodwill; to all who believe in the Just and Eternal God; to all who know they are joined to Christ, the Word of God made man. We must all stand together: human dignity is at stake. There is only one human family. The new saint also insisted on this: ‘Our love of neighbour is the measure of our love of God. For Christians — and not only for them — no one is a ‘stranger’. The love of Christ knows no borders’. The Pope said that the love of Christ was the fire that inflamed the life of St Teresa Benedicta of the Cross. St John Paul II explained that at the end of a long journey St Edith “came to the surprising realisation: only those who commit themselves to the love of Christ become truly free”. “This woman had to face the challenges of such a radically changing century as our own. Her experience is an example to us. The modern world boasts of the enticing door which says: everything is permitted. It ignores the narrow gate of discernment and renunciation,” he said. Her canonisation was not without controversy as some Jewish people claimed she died because of her race and not because of her religion. The Catholic Church holds that she was, however, a martyr because she died directly because of the Church’s moral position pronounced by the Dutch bishops against the Nazi persecution of European Jewry. The failure of the Dutch bishops to successfully intervene contrasted with the decision of Venerable Pope Pius XII to shelter secretly the Jews of Rome when the Nazis began to round them up for deportation in October 1943, a policy which resulted in some three quarters of them surviving the Holocaust.